Publisher: Harper Collins, 1996, 1st ed. 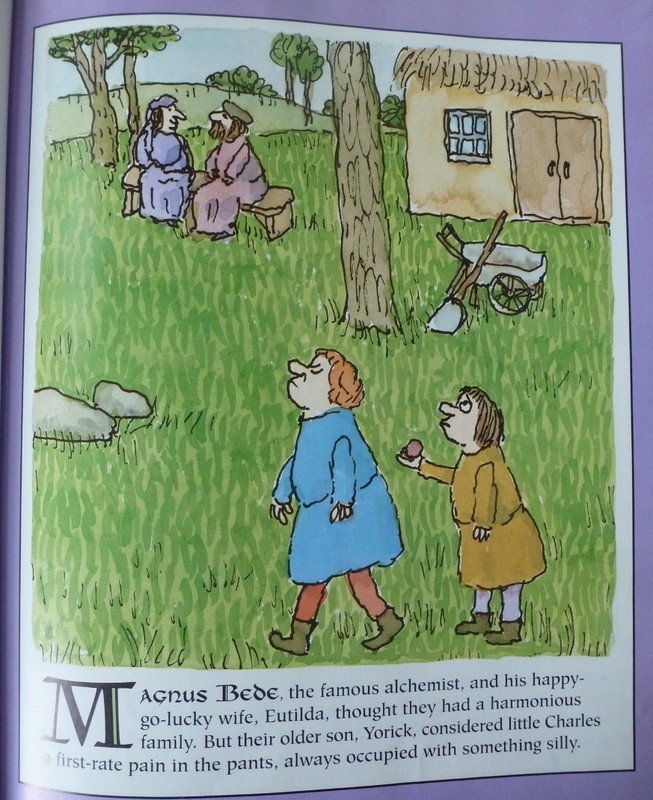 Opening: Magnus Bede, the famous alchemist, and his happy-go-lucky wife, Eutilda, thought they had a harmonious family. But their older son Yorick, considered little Charles a first-rate pain in the pants, always occupied with something silly. Summary: (from my library catalog) An apprentice alchemist finds that his despised kid brother is the only one who can help him when he concocts a potion which makes him the size of a peanut. I like this book because: who hasn’t dreamed of altering ourselves only to realize it might not be an easy thing to live with? 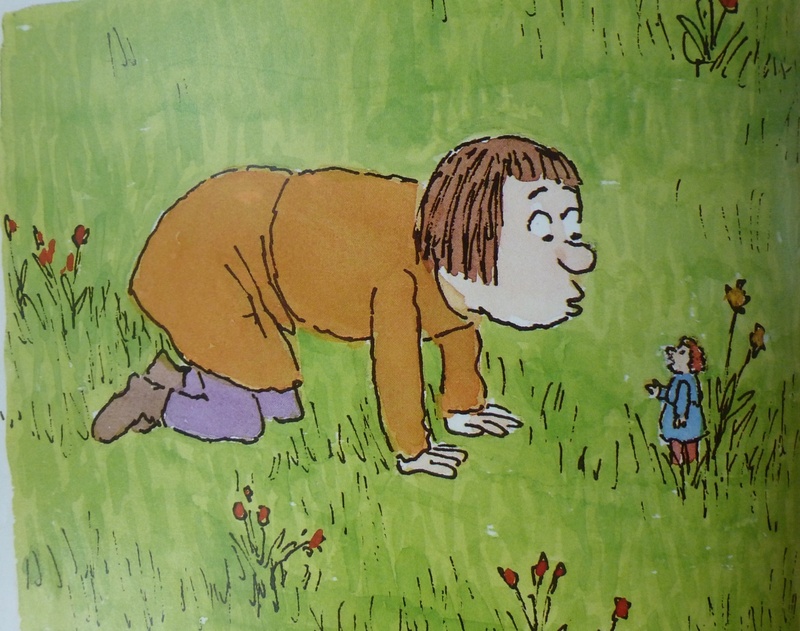 Or to transform one’s own siblings, or a school bully? That’s why it’s so fun to watch Charles enjoy this happening to Yorick from the safety of the sofa! 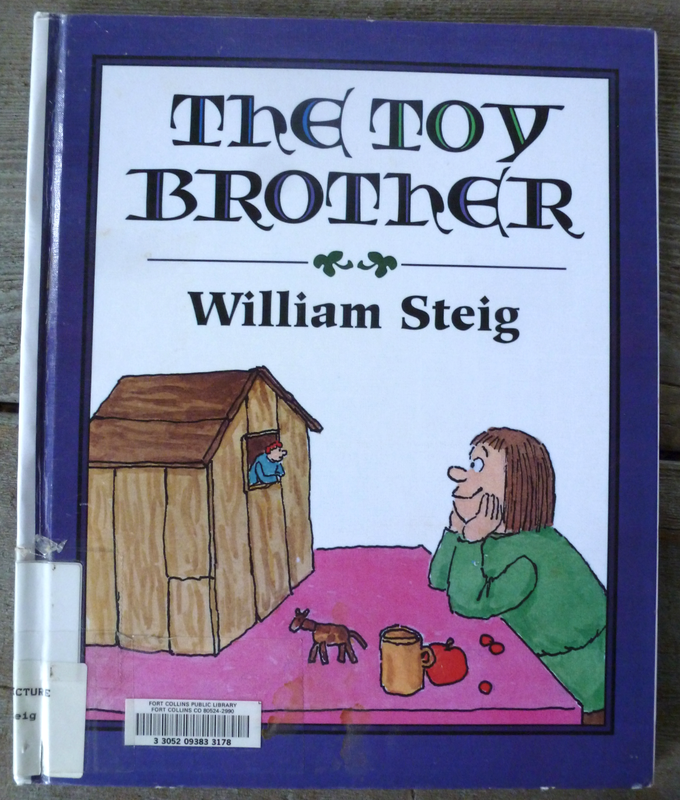 Today’s tidbit: Steig’s older brother Irwin gave William his first painting lessons. His younger brother Arthur later founded an art-supply manufacturing firm whose products were widely used by artists and graphic designers, including William. 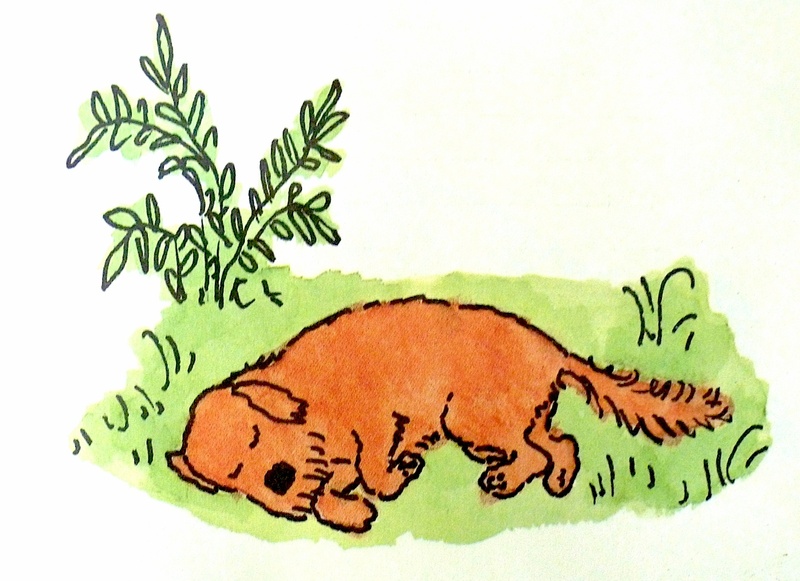 These images remind me a little of Tomie de Paola. It’s that time period, eh? I love the facts about his brothers; how cool. I wonder how many of his books involve a character changing into something else (Sylvester)? Have you seen his wife’s sculptures? Yes. Those two were meant for each other! I loved seeing them together in the bonus features on the Scholastic DVD. By the way, the Doctor DeSoto book is awesome on that DVD as well. I’ve not ever seen this one! Thanks! What a fn story and I love the fact at the end.